If you want to build an audience (and who doesn’t?!) one of the most underrated tools out there is a well crafted page of show notes. It’s there, right on the episode page, that you can include those mythical beasts that are Keywords – the magic ingredient that helps your audience to find you. I know – you’re creating a podcast not a blog. Luckily, these notes don’t need to be long and there’s plenty of tools out there to help you figure out what to write. That’s why, today, we’re going to go deep on how to do keyword SEO for podcasters. Here are some things you should consider when creating the perfect show notes to capture audiences. Before deciding on keywords you need to decide on your goals. Do you want to drive more traffic to your website or do you want to start converting that traffic into future listeners? In most cases a bit of both is ideal. Long tail keywords are more specific keywords. They’re usually longer and the main function of them is to drive more meaningful traffic to your website. Short tail keywords are less specific but net you higher overall traffic results. They are less likely to convert into long-term listeners. In general you should aim for 1 or 2 long tail keywords in your show notes and possibly a few short tail ones for good measure. If, for example, you were creating a podcast about urban travel in Europe it’s much more useful to think about longer phrases such as “podcast about travel in European cities”. Do your target listeners have kids? Try “podcast about family travel to European cities.” Is your episode based in Berlin? “Podcast about travelling to Berlin as a family.” The more specific you are the better. Once you’ve considered your long tail phrase, you can pepper the main points across a sentence so it sounds more natural to your reader. In this case, something like “This week’s podcast is about visiting Berlin with children and other travel tips for families” would do. This will result in lower search results than simply using short tail keywords like “travel podcast”. These results, however, will be better quality in terms of people who actually click on your podcast and listen to it. 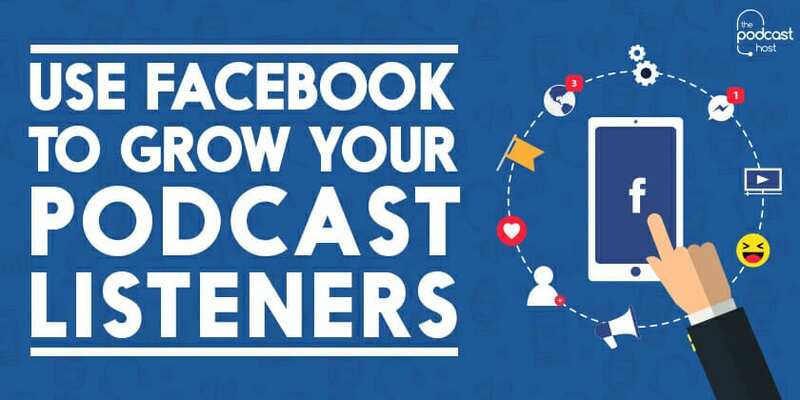 Knowing how your listeners speak is a helpful skill for podcasting and blog writing anyway, but in terms of SEO you’ll gain more audience members if you know how they search. You can research this in a number of ways. Any website with more than 20 pages or posts should have a search function. You should be looking at what your users search for whilst on your website. Chances are, they’re also using similar search terms on Google. You can also check out social media to see how your audience are communicating with you. If you already have a substantial following this is simply a case of reading the comments on your posts and taking note of how they’re worded. If not – search for relevant hashtags on social media. In the example we’re using, you could try #travelpodcast on Instagram or #TravelTuesday on Twitter (we’ve also written on how to use Twitter itself to grow an audience). Find out what tags other bloggers, vloggers and podcasters in your field are publishing on and take note of how their audiences talk. You should also consider demographics. Older audiences are more likely to search using full sentences, whereas younger audiences will search using keywords. Colloquial differences also need to be taken into account. Your podcast about the best flip flops to buy in Europe will be more likely to reach a target audience of Australian backpackers if you use “thongs” in the show notes! If you need some assistance coming up with keywords, there are some tools out there to help you. Google Keyword Planner is one of the most widely used. With this, you can search for keywords and check out stats for how often people search for them. For best results, test out a few different searches to build an idea of common search terms. It’s also a very handy tool if you ever decide to advertise on Google and want to know which topics to advertise with. If we search for “family travel”, we can see this topic is most popular around New Year, in Ireland and people also search for travel insurance, Intrepid Travel and spring. These keywords would therefore be very effective if you were publishing a podcast at the beginning of the year about family travel insurance deals for spring. Play around with it to get an idea of why your audience are searching for you. It might even give you some great content ideas. We would also recommend KWFinder as a good overall tool. You can search in topics here and it will give you related keywords. This tool is great for finding long tail keywords and letting you know how likely you are to feature within the first page of various search terms. You can also view other websites that appear using that term. You get five free searches every 24 hours. Speaking about other websites – one of the easiest ways to figure out keywords is to conduct a search of your own. Imagine you are an audience member and search for something that you’d like to lead to your blog. You can then scan the first few search results to see what words and topics commonly feature. For “family travel to Berlin”, the word “children” is common as are words related to attractions and transport. Gather a list of common words, phrases and topics and input them into the tools above. You should be updating your research regularly. If possible, try to do a quick check every time you publish. Keeping your knowledge up-to-date will result in quicker keyword SEO gains. You can also better scope out what is and isn’t working and update accordingly for future posts to make sure your audience is constantly growing. It is a little extra work, but a small amount of research will get you a long way. There’s a bit of experimentation to it, but the sooner you figure out the best keywords the easier it will get. Many podcasters often overlook their descriptions. Spending some time on yours will help you stand out. Ensuring links to your website from third party sources is another way to boost your SEO. For more tips, you’ll find a list of podcast directories to list in here. Now that you’re familiar with Keywords SEO, particularly for podcasters, it’s time to put this knowledge into action. Next time you upload a podcast and accompanying show notes, follow the steps listed here and make sure you have the correct Long-Tail and Short-Tail keywords for your post. You’ll have an audience in no time!